History 4.2.2: Understands how economic systems function. Objective: Students learn that the people who settled in what is now the Issaquah area, came from many different places. Students then research and document their own family tree and by doing so, discover that their family also contributes to the different ethnic, racial, religious and social groups that make up their local community. Discuss how long students have lived in Issaquah. Did any of the students move here from another location? Did anyone’s parents or grandparents move here from another town, city, state, or country? Ask, “Who were the first people to live in the Issaquah area?” (Native Americans) and “Who came to the area next?” (Early settlers from the east coast, Midwest, and other countries, including about 40 people from China that were run out of Issaquah in a matter of days). Share the family information cards and photos of the early settlers. Discuss how far each family had to travel from their original home to Issaquah. Discuss how they probably made that journey (no planes or cars then). Create a bulletin board display as a class by pinning up the world map. Then add each family card and photo in the space around the map. Connect the family card and photo to the place on the map from which the family came. Place a thumbtack on the country or state in which the family started. Tie a string from the thumbtack on the state/country to the thumbtack holding up the family card and photo. For example, the Castagno family came to Issaquah from Italy, so the thumbtack holding the Castagno family card will have a string tied to it, leading to a thumbtack in Italy, showing where they came from. Explain to the class this is only a small number of families that came to the Issaquah area. Many other families have come from many other places. Where did their families live before they moved to Issaquah? Note to teacher: Use professional discretion in giving this assignment. Some children may have sensitive issues surrounding extended or immediate family information (adoptions, recent and difficult divorces, parents not involved in their child’s life, etc.). Some families may find gathering this information to be difficult, uncomfortable, or impossible. Discuss the purpose of keeping a family tree or record. Discuss what a family tree looks like. Discuss the items that belong on a family tree. Family trees may include; names of family members, birth, marriage and death dates, short stories, or photos. Discuss how many years a family tree might document (anywhere from two or three generations to thousands of years). Share the Tibbett’s family tree as an example. This family was one of the first to settle in Issaquah. 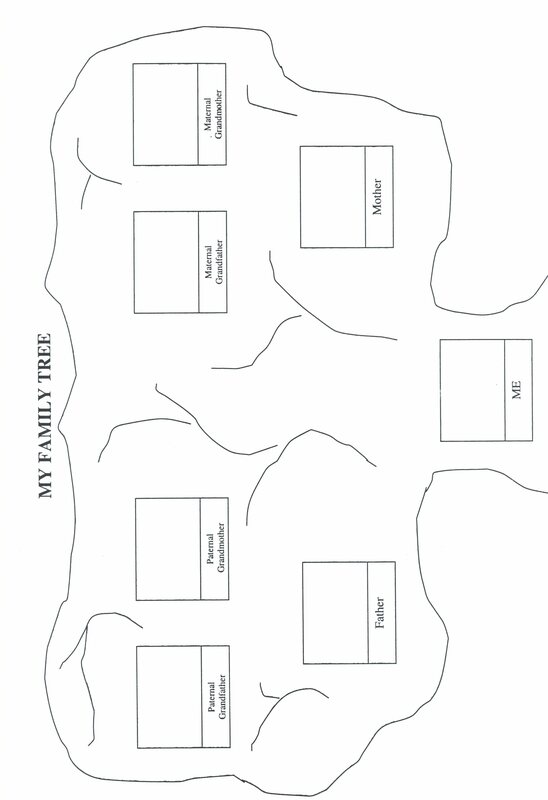 Share the “Family Tree” worksheet, or let students create their own. Discuss how additional information can be added, such as aunts, uncles, cousins, great grandparents, birth dates, etc. Set guidelines for expectations; what must be included on their family tree and what is optional. This activity works best as a homework assignment, as most children will need assistance from adults in their family to complete their family tree. Share the completed family trees as a class and discuss when each student’s family came to the Issaquah area.